Toekenning persoonlijk wapen, standaard en badge door de State Herald, Pretoria d.d. 17 november 2003 aan R.A.U. Juchter van Bergen Quast door 2003. Certificates 3370 (wapen), 3371 (badge) en 3372 (standaard), gepubliceerd in de Government Gazette nr. 24616, 28 maart 2003, notice 456 en in nr. 25189,18 juli 2003, notice 1007. 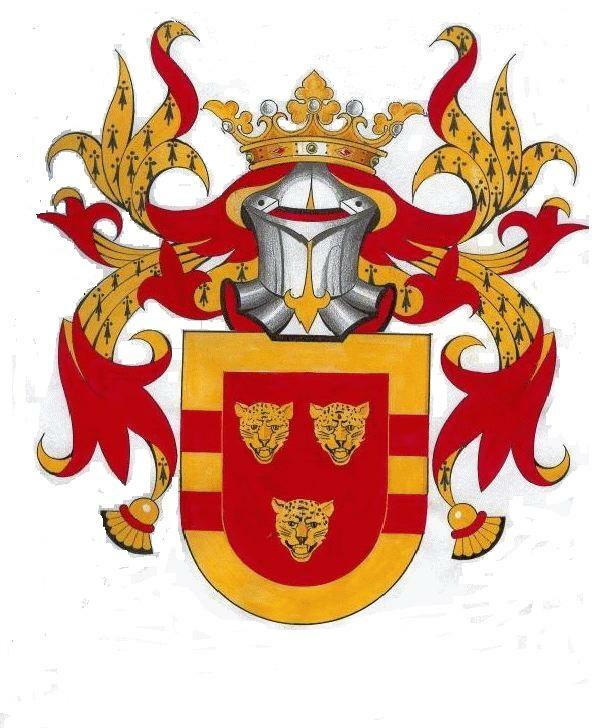 De wettelijke grondslag is de Heraldry Act 1962. Standard: In the hoist the arms of Rudolph Andries Ulrich Juchter van Bergen Quast and in the fly pean, Gules and Gules, between two transverse bands Or, fimbriated Argent, bearing the motto NEMO ME IMPUNE LACESSIT in letters Sable, cottised Or, charged on his left flank with a rose Gules, barbed Vert, seeded Or; seated on his neck a mahout, in his sinister hand a stick in bend sinister Argent; in the second compartment two leopard faces snarling in pale Or; in the third compartment a leopard face snarling Or; the sleeve Or and fringed compony Gules and Or. Badge: Upon a oval, fesswise pean, an Indian elephant statant Or, armed Argent, strapped over the belly, hump and rump Sable, cottised Or, charged on the left flank with a rose Gules, barbed Vert, seeded Or; seated on his neck a mahout, in his sinister hand a stick in bend sinister Argent.